Setting for Scalping System time Frame 15-30-60 min. 15 min 13 period, levels (0.2; -0.2) GBP/USD. Disparity Index crosses above its OverSold Level and wait that stochastic cross upward from OverSold Zone. Disparity Index crosses below its OverBought Level, it's Zero Level, or it's OverSold Level. 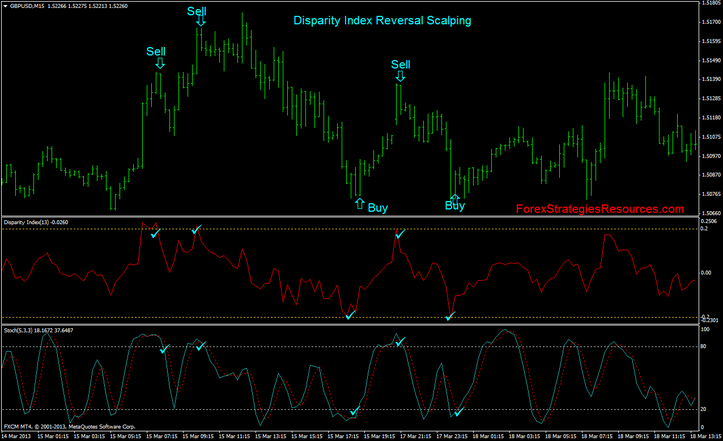 Disparity Index crosses below its OverBought Level and wait that stochastic cross downward from Overbought zone. 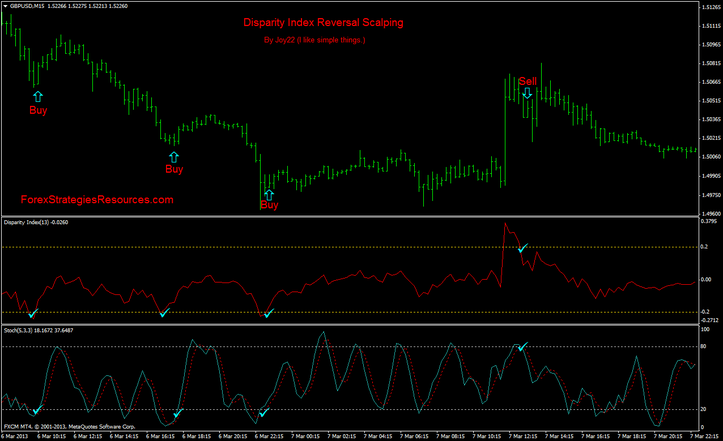 Disparity Index crosses above its OverSold Level, it's Zero Level, or it's OverBought Level.